For all your Cleanroom Supplies. Supplying hundreds of cleanroom products to over 36 countries worldwide. EudraLex vol 4 covers Good Manufacturing Practice (GMP) guidelines and Annex 1 is specific to the manufacture of medicinal products. This update comes after several years since its last revision and provides direction to the industry, reflecting best practice. The key changes are highlighted below alongside the products and services that Micronclean can provide to help you remain compliant. Micronclean are pleased to announce the launch of a new product, Delta. Delta is neutral detergent which has been developed for use within cleanrooms alongside our existing rotational disinfectants Alpha and Beta. Micronclean offer a comprehensive range of sterile packs. 100% quality checked and packed in our new Class6 MicronDevices cleanroom in Skegness, UK. 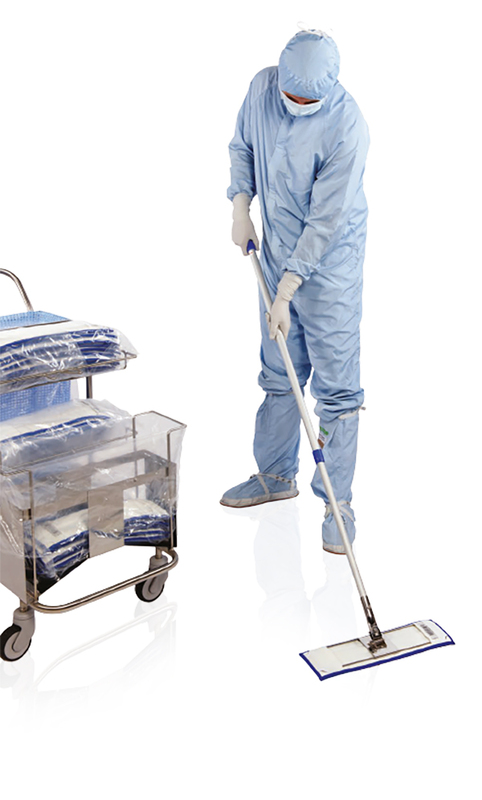 Micronclean has supplied cleanroom products for over 30 years and has become a preferred global specialist supplier. The Micronclean Cleaning Team are a dedicated unit specially trained for environment decontamination. They have been serving a variety of clean industries worldwide including Pharmaceutical, Medical Device and Semiconductor since 2001. Supplying Cleanroom Supplies to over 36 countries worldwide. Our passion is to be the first to develop new technological solutions that change the shape of the markets we serve creating efficiency and quality for our customers. The Micronclean cleanroom consumables brochure details our full range of cleanroom supplies.